The new year is the perfect time for new beginnings. Make sure your restaurant is starting 2017 right by staying up-to-date on the newest trends for cuisine and dining. A ribeye will never go out of style, but there are more cuts of meat than the three or four we’re used to seeing on a menu. As diners become more adventurous with their pallets, new and interesting cuts of meat (from quality butchers) are looking to take a leap in popularity. Try sourcing a whole animal from your local butcher and create specials from a different cut of meat every night of the week until it’s gone. It’s a great way to cut back on food waste, ensure fresh, sustainable ingredients, and force your team to come up with some creative and inspired new dishes that will peak the interest, and the tastebuds, of your customers—and have them coming back for more. 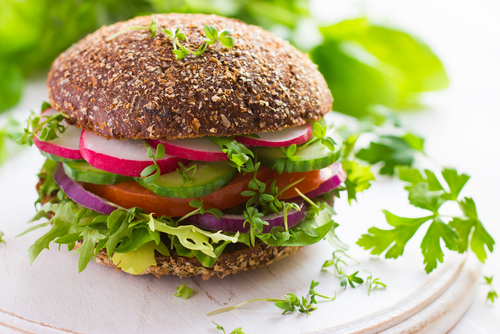 More and more diners are trying to cut back on their meat consumption, for health and environmental reasons, so plant-based foods are gaining popularity. The trend doesn’t look like it’s going to stop anytime soon, but just because they want to cut back on their meat intake doesn’t mean people are ready to leave the comfort of their dining habits behind. Add a roasted beet reuben sandwich, a chickpea burger, or a lentil sloppy joe onto your menu and surprise your diners with how delicious and seamless their decisions to be healthier in the new year can really be. According to a recent study, dark chocolate has the ability to help brain activity and cognitive function—making it the perfect start to any day. Tap into your customers sweet tooths by offering them an indulgence they can feel good about. Add some sea salted dark chocolate to a fresh bowl of berries, yogurt, and granola and you’ll have a simple, delicious dish that will satisfy your customers and give them the cognitive function to remember to tell their friends. The craft beer & wine industry has been exploding for a while and there are no signs of stopping, but, as the trend continues, people will be looking for options that are more off-the-beaten-path. Sour beer isn’t new. It’s been around since the mid-90’s and chilled red wine has always been a preference for some—especially in Europe. But neither has found their way into the mainstream markets here in America quite yet. By adding some unique items and serving styles for your customers, you’ll be adding talking points to your menu that will set you apart and have your customers feeling cool and ready to tell their friends. The demand for fermented ingredients is growing in more than just dining. Fermented vegetables, hot sauce, and drinks like kombucha are set to continue their popularity into 2017. Consider jumping onto this surprisingly delicious bandwagon and you’re customers will be reaping the health-benefits of bacteria while you reap an increase in sales.